If I could have Ramen everyday, I probably would. As a Ramen-lover, I am very specific about what I like. 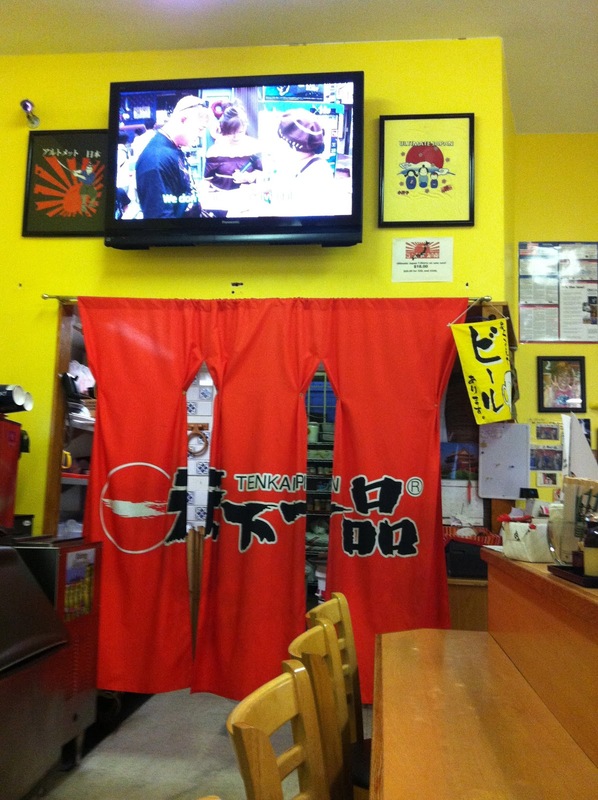 I have my favorites- Ton Ton Ramen in Waipahu, Yotteko-Ya, and an old favorite, Tenkaippin. "Tenkaips," as I like to call it, is located in Kapahulu, in the same parking lot as Jamba Juice, Kozo Sushi, and Starbucks. What I love about this cozy little place is the atmosphere. Watch "Ultimate Japan" featuring Scott Suzui (the owner of Tenkaippin), his wife Mayumi, and son, Skyler, eat their way around Japan. They host this show as well as own Tenkaippin, so their show plays nonstop in there. Almost feels like you're at home watching tv and eating ramen! if you're lucky, Scott and Mayumi can also be seen working and serving their ramen right in the shop! Nice to know such humble people run this place. What I recommend- I recommend getting a Set with Kotteri Ramen. This is their specialty! Kotteri is a thick (almost gravy-like) chicken broth made from collagen, and is supposedly very healthy for your skin/hair. They say this soup is very healthy, but not in the "healthy" way you are thinking! I'm sure this ramen is very fattening! 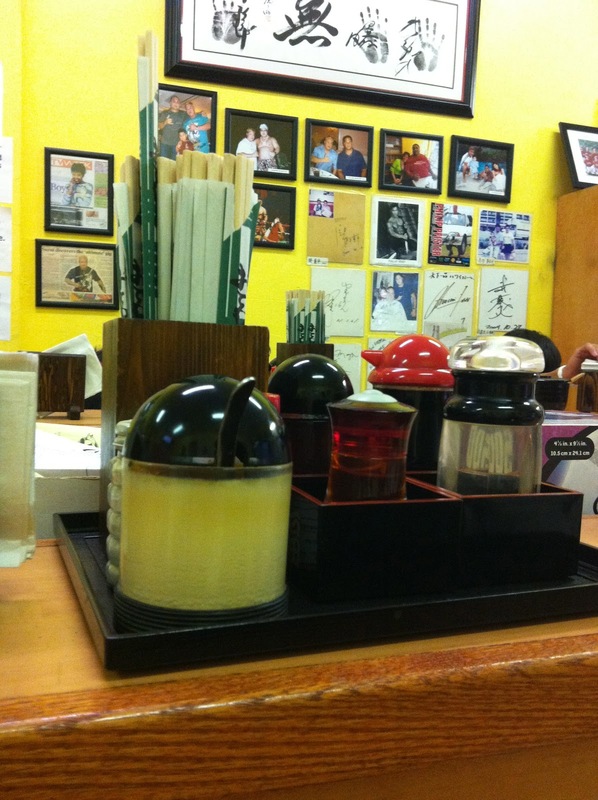 They also make Paitan, Miso, and just recently Tan Tan Ramen. I would ultimately stick with the Kotteri! If you like garlic, I'd also suggest throwing in some of their special garlic stuff. Really brings out the flavor of the broth and makes this extra tasty. Each set comes with Ramen of your choice and options- fried rice, gyoza or fried chicken. I'm not a big gyoza fan and will only gyoza from Rai Rai Ramen, but Tenkaippin's fried rice is delicious. 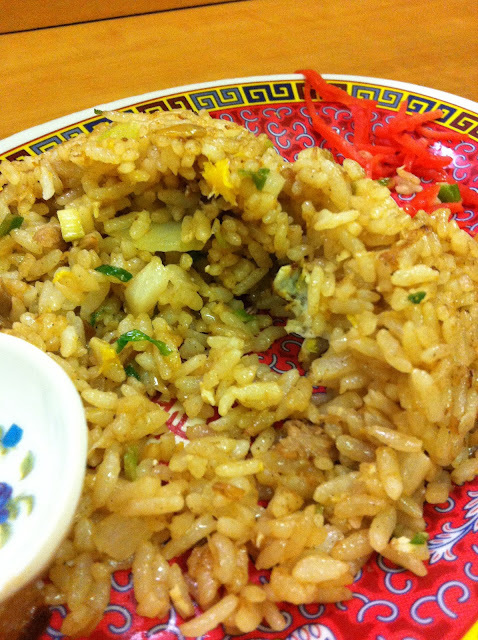 This is not your usual fried rice- it has a much different taste- must be authentic of Japan, not local Hawaii style. Hours: Monday-Thurs 11am-10am and Friday-Sat 11am-11pm. It's nice to have this place open throughout the day in case you're craving ramen at 3pm! It gets very busy during peak hours, so I suggest going in a little earlier/later for lunch and dinner. Dinner can get so crowded you probably will have to wait for a table, especially on the weekends. As a side note, went there with my friend, Summer. We both love garlic, and decided to try the Roasted Garlic. Well, it was so good and didn't have a super strong taste (tasted almost as mild as potatoes! ), so we kept on eating. Almost finished it all! Well, never again! I don't know about Summer, but I wreaked for days. 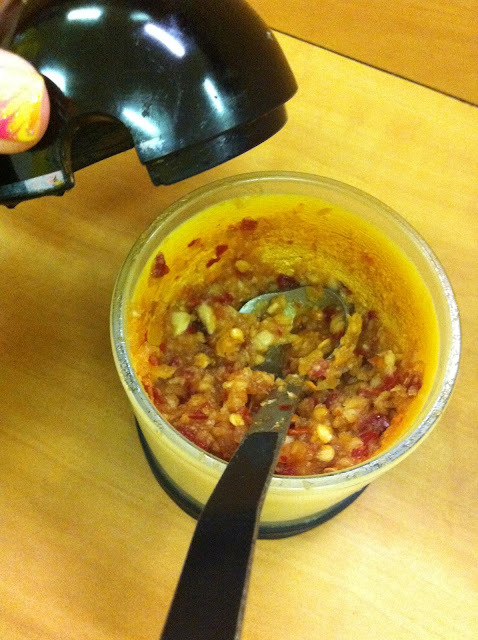 If you can have some control and only eat a few, or maybe share with a few others, try their roasted garlic side. Worth it, and you'll definitely keep the vampires away. and the Kotteri Ramen with extra menma (bamboo shoots), and no onions. Garlic plus other sauces to add to your Gyoza or Ramen. Watch "Ultimate Japan" while you fill your belly! To keep the vampires away.